I have been spoiled by other games’ betas. That is clear to me now. Sir, You Are Being Hunted is a game I mentioned being excited about back in May, then promptly forgot about. Recently, it was up on Steam Early Access at a discounted rate, and I decided to take the plunge. A few hours of gameplay later, and I feel thoroughly soaked. The problem I have with the game is that it is basically a sandbox without any sand. 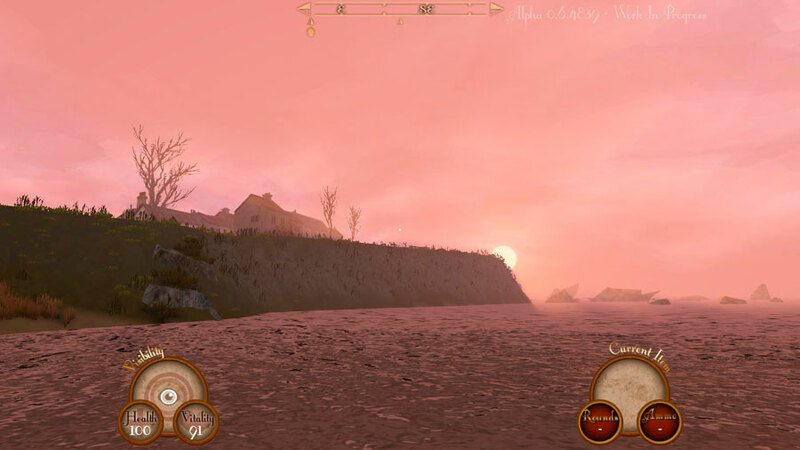 When you start playing, you are introduced to the core gameplay – find pieces of the Device, plug them into Standing Stone – given some binoculars and food, and sent on your way. As a veteran of Don’t Starve, this opening felt perfectly fine. 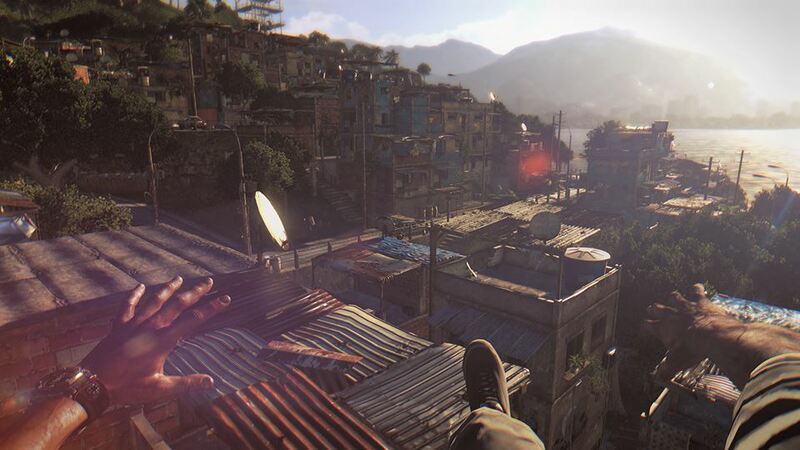 What became readily apparent however, is that the game utterly lacks interactivity in its present state. Alpha is alpha is alpha, yes. But when I rummage through three entire villages and am armed with 3 alarm clocks, one bear trap, and two empty bottles against robots with shotgun sniper rifles, things feel lame. Now, of course, the name of the game is to be, well, hunted. But the present AI behavior reminds me of the delicate, high-wire act that all stealth games must perform. If you have enemies patrol in a set pattern, it turns stealth gameplay into a sort puzzle game with logical, measured moves. It might feel less “realistic” to have the guard always look to the left for three seconds when he walks to the balcony, but as a game mechanic it is grokkable and feels “right.” Alternatively, you could have enemies who basically follow no pattern whatsoever, looking randomly in any direction at any time. More realistic? Sure. More frustrating? Absolutely. Right now, Sir basically has the worst of all possible stealth worlds. The world is procedurally-generated and I’m not really certain one of the procedures is to place the Device pieces near cover. I basically spent the last 40 minutes trying, futilely, to grab a Device piece in the middle of a field where two robots were “patrolling.” And by “patrolling,” I mean they walked in random, jerking movements in a 3-meter radius around said Device. Tenchu, Dishonored, and Deus Ex this ain’t; the only possible solution is dropping an alarm clock, crab-walking as far away from it as possible, and grabbing the Device and running. Of course, the robots run as fast as you do, are armed with shotgun sniper rifles as mentioned previously, and the only way to lose them is to be crouched in foliage. Which they immediately begin to search, because that’s the name of the game. But considering how you can’t really sneak through the foliage at any appreciable speed, they will find you immediately and GG. 98% of your gameplay time is this. Alpha is alpha is alpha. 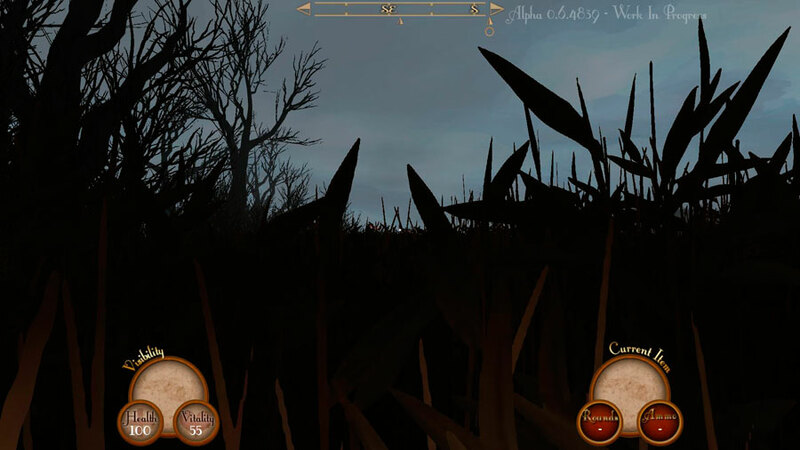 But right now, Sir You Are Being Hunted is basically a crouching simulator and not much else.